Not even going to touch the whole glo-fi/chillwave/whatever we're calling it this week thing, mainly because this is anything but chilled out or relaxing. Maybe by virtue of timing, or the fact that they like effects, Small Black have been lumped into a scene we're not entirely sure they need to be a part of, and "Weird Machines" is proof of that. Part Suicide-esque grinder/ballad—the band somehow makes broken circuit keyboard wizardry and jagged drum machine tick sound beautiful and even kind of anthemic. "Weird Machines" is from Small Black's EP, which is out October 13th (also known as next Tuesday). October tour dates are after the jump. 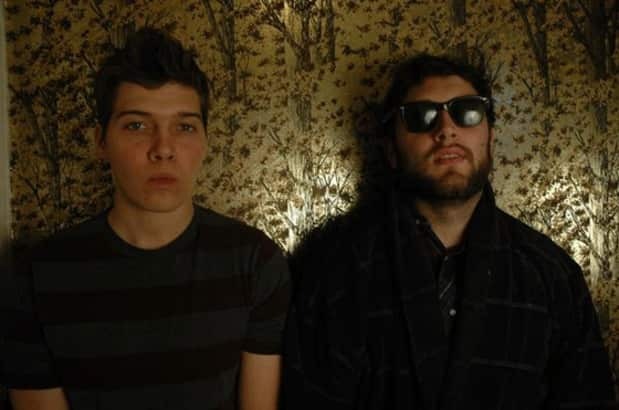 Download: Small Black, "Weird Machines"